MGSM Executive Conference Centres are modern, purpose-built centres designed for learning and, as a result, provide the best environment to achieve the best possible outcomes from all of your events. an excellent environment for businesses to interact with their clients and staff. At MGSM we’re proud of the environment we have created and the facilities that we have at the disposal of both our students and the wider business community. 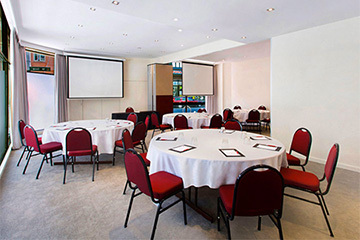 Our conference facilities, both in Macquarie Park and in the heart of Sydney’s CBD, are designed for learning, and provide an excellent environment for businesses to interact with their clients and staff. 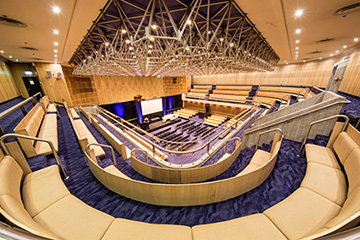 Both facilities; located in Macquarie Park and in the heart of Sydney’s CBD, are among just 400 globally accredited members of the acclaimed International Association of Conference Centres (IACC), a status achieved by meeting all 35 exacting standards across important areas such as the design of the facilities, support offered by the conference team and day-to-day management. 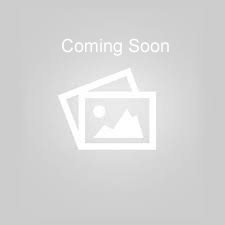 MGSM Macquarie Park Executive Centre is a multi- award winning venue offering a seamless business meeting experience through first class customer service, creative food and beverage options, executive style accommodation and superior meeting facilities, all at competitive prices. Nestled amongst the picturesque grounds of Macquarie University, the Macquarie Park Executive Centre and Hotel has views overlooking the University Lake and surrounding bushland. Less than 20 minutes from the CBD, the venue is close to public transport links and major highways and only 20kms from Sydney airport. 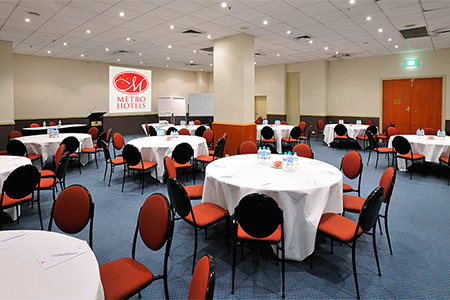 Whether you�re looking for an ideal venue for a residential conference, an all day meeting, the delivery of a training program, a corporate event, or if you�re simply arranging overnight accommodation for visitors, the facilities at MGSM's Macquarie Park Executive Centre should be your first choice for convenience, comfort and an exceptionally high level of customer service.